﻿ The Zuri Kumarakom - Kerala Resort & Spa, India | FROM $97 - SAVE ON AGODA! 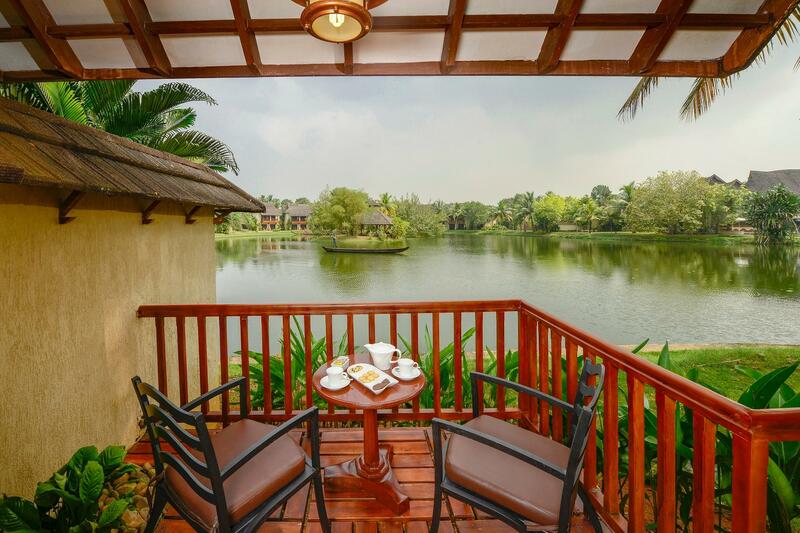 "Once we arrived we were welcomed with a drink and friendly s..."
Have a question for The Zuri Kumarakom - Kerala Resort & Spa? "Staff is cordial and polite but breakfast lay is pretty average." "Staff at the check-in are great for their hospitality." "Very nice property and excellent view points." 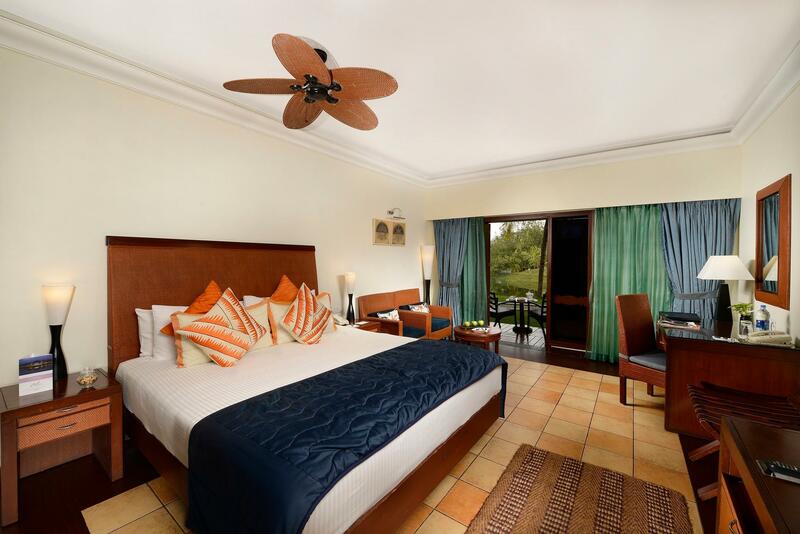 This high-end luxury resort offers stylish rooms and a fantastic spa on the shore of Lake Vembanad. The Zuri Kumarakom - Kerala Resort & Spa is just 15 kilometers from the railway station and 95 kilometers from Cochin Airport. Kumarakom is the perfect place to get away from it all, and activities include backwater cruises, fishing, plantation, and village tours. The hotel offers many leisure options, including a large swimming pool with water-spouting elephant sculptures and a luxury spa with Ayurvedic treatments. The Lime Tree, Laguna Bass, and Trunk Call Bar serve very good Indian and international cuisine. 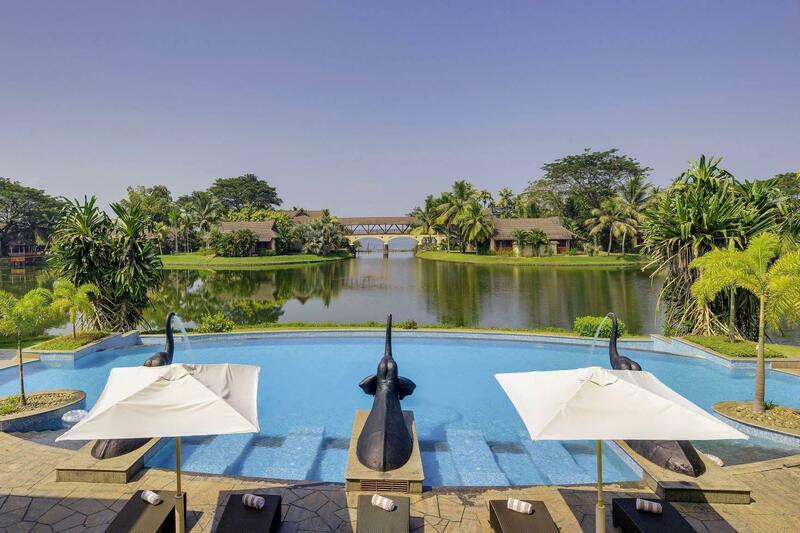 The Zuri Kumarakom - Kerala Resort & Spa is perfect for an extended break with its idyllic location and world-class amenities. "Resort is fabulous and loved the cleanliness." As per government rules, no alcohol will be served at the hotel on 1st of every month. The property is excellent ( location, views). But the food is horrible. Lousy buffet breakfast. Inspite of the extremely high room tariffs they charge Rs 350/- per person for boat ride. The condition of the boat was also bad. Not recommended. - once we arrived we were welcomed with a drink and friendly staff. - the resort is a great place to relax and chill. The pool and spa area is amazing. - we choose to use spa and couples treatment of scrub, wrap, massage and jacuzzi which was all in a private room. One of the best spas I’ve been too ! - we also hires out a house boat which was a unique experience which we also enjoyed with a private chef on board. The food was really yummy too. - the main thing the staff were amazing especially Neethu front of house who was always there with a smile and info. - breakfast was great too. - we went for a cottage room which was spacious and also had an outdoor shower for an experience (and an indoor too !) - would defo go back ! Thank you for taking the time to share your recent experience with us. We are so glad that your trip with us was an enjoyable one and that you will return the next time you are in the backwaters. We have noted your concern on food options and quality. We will definitely look in to this matter. We truly appreciate your kind words and look forward to welcoming you back again soon! Highly recommend this hotel for a stay before, during or after a backwaters trip. 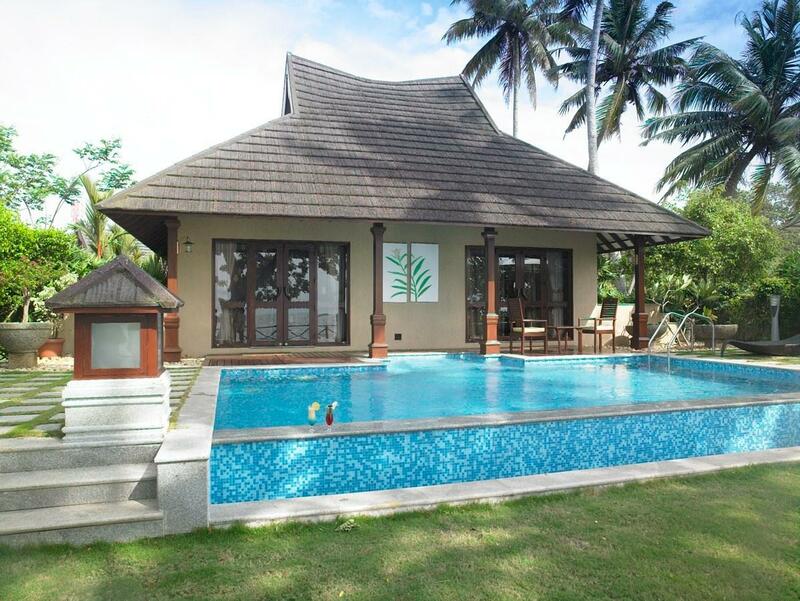 Hotel has great facilities (including a lovely pool) and is set beautiful on a private lagoon. The cottages are particularly recommended for privacy and high quality specification, including outdoor and indoor shower! Real highlight was the staff. The hospitality we received during our recent trip was the best we received in India. From a very warm welcome to continued assistance and nice touches throughout our visit. Thanks so much! Dear Guest, Thank you kindly for your review. We are delighted you enjoyed your visit to the backwaters and I am especially grateful for your compliments to our staff. We hope to have the pleasure of welcoming you back again soon. Very nice property and excellent view points. But having said that few things need a check for example the air conditioners need maintenance. The wooden doors badly need to be repaired or replaced,especially of the lagoon view rooms. Staff is cordial and polite but breakfast lay is pretty average. To sum up it is a nice resort but lacks the basics to be given a five star. Zuri was a lovely resort that really helped us relax and chill out! The staff were prompt and helpful. The rooms were maintained well enough and the grounds were impeccable. The hotel is world class standard. We enjoyed the facilities Zuri offered - yoga classes, pool, spa, shows at dinner. The only negative was probably the food at the seafood restaurant - it had almost the same food offered at The Lime Tree and the wine liest was exclusively indian. Food there was also very average. Having said that, The Lime Tree buffet spread was great - got to try a good spread of Indian food that was really good. Tavel time can be daunting if you had a long haul flight to Cochin. Suggest you rest overnight , do a morning sightseeing tour then travel to Kumarakom. The resort staff are just great and the Kerala cuisine available is unbelievable. Requested an technician to check for Ac . First they said he is on his way and then half hour later were told he is on another call. Glasses and cups not cleaned properly. Spa didn't have proper bathing facilities and no hot water. Swimming pool area couldn't provide a single bottle of water. Poor service for the price we paid. It was a memorable stay, hats off to the designer of Zuri resort. Not a single element was out of place. The food was also fantabulous. I dont understand why the earlier reviewers stated the food was not good!!! The only thing that was off was the fact that during our check out , in the final bill receipt , we were billed for 10th march 2015 dining also, when our actual stay was from 13-15th march.2015. But the staff quickly cleared the same stating some room number mixup. I advice fellow travelers to double check the bill receipt. the hotel was great, lots of free amenities, cycling, boating, jaccuzzi, yoga etc.drivers were very helpful. the hotel was very helpful as i had forgotten my laptop charger and had left for munnar the next day, however the hotel staff arranged for my laptop charger to reach the airport on my day of departure and this was done free of cost. travel options through the hotel were a bit expensive. We had a great stay the staff where great, rooms where spacious and comfortable, the lake in the middle of the lake which almost all rooms face is great and it connects to the main lake. Only complaint was the prices of some off the optional extras which was high. Overall the Zuri was a great place to stay. 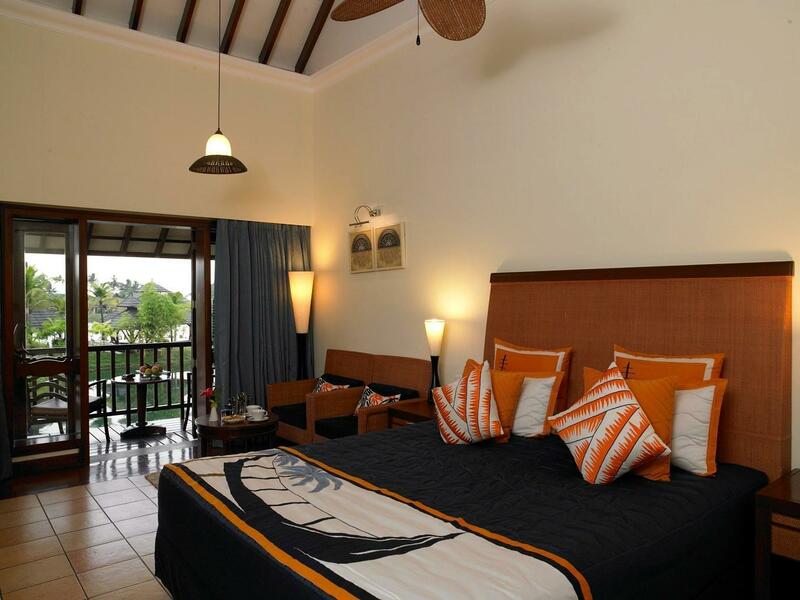 The rooms are spacious and sooo comfortable, the setting is magnificent. Sitting beside the lake watching the amazing sunsets was the highlight of each day. You do feel a little bit "captive" and get the feeling management would prefer you not to leave the compound. One night we asked for an auto rickshaw to be organised and it all seemed very hard, had to insist on it or it wouldn't have happened. Breakfasts are great but the dinner buffet is disapointing hence the need for the autorickshaw to go elsewhere. Spa is beautiful but very epensive. We orgainised excellant treatments at the property next door for 30% of the Zuri's prices. Staff were if anything over zealous in helping out. Just a sideways glance in the restaurant or at the pool had them all over you. Might be the kind of service the domestic market insists on but we found it too much. The only time we really wanted attention was at reception which seemed to be the only part of the hotel lacking in staff. Just as well they have rahul there or nothing could be sorted out. Overall it's a good place to stay and with a few little tweeks could be great! Horrible ambience, no value for money, lack pf cleanliness, insecs and mosquitoes, very poor service from staff. Poor maintenance. Not even a single happy memory. Pathetic service. No response for any requests from staff. Restaurant, Room service or other facilities. Zero service. Dear Guest, Thank you so much for choosing our resort. We are so glad we were able to meet all of our needs while you were here with us and we truly appreciate your kind words. We look forward to welcoming you back again soon!